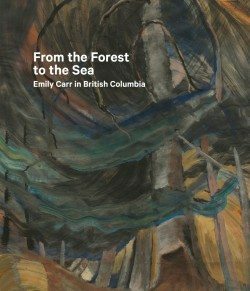 The Canadian Museums Association recognized From the Forest to the Sea: Emily Carr in British Columbia with its Outstanding Achievement in Research – Art Award at a ceremony in Halifax April 14. The title, a collaborative publishing project between New Brunswick press Goose Lane Editions, the Art Gallery of Ontario, and the Dulwich Picture Gallery in London, was edited by Dulwich Gallery director Ian Dejardin and Toronto writer and art critic Sarah Milroy. It includes more than 100 colour reproductions of Carr’s pieces alongside essays by other artists, historians, anthropologists, and more, and was part of a major exhibition held at the AGO and the Dulwich Gallery.